MOM’s Organic Market is headed for the East Market development. Given that Philly’s a city known for its weight, it may seem improbable to find healthy dining options in the city. But cheesesteak and soft pretzel worshipping aside, Philly’s actually a booming mecca for the health-conscious foodie. This year, that list will grow, as three new health-focused eateries are expected to open: Sweetgreen’s coming to Rittenhouse, a vegan bakery is heading to West Philly, and - the mothership of health food markets – MOM’s Organic Market – is on its way to Center City. Sweetgreen’s Rittenhouse spot is set to open this summer, and this will be its third location in Philly. The vegan bakery, called Crust and co-owned by a pair of plant-eaters who've studied chemistry, is expected to launch as a wholesale-only business in the next few months with a goal of opening a brick-and-mortar storefront later on. MOM’s Organic, which has been drawing a lot of excitement, will be located in the currently under-development East Market building between 11th and 12th on Market Street, Philadelphia Magazine reported. 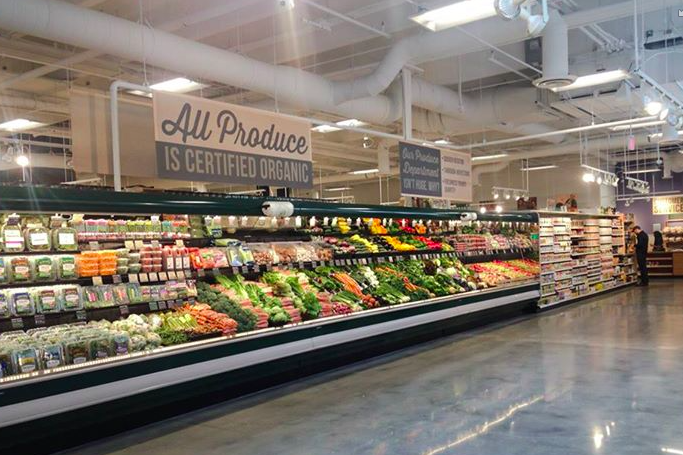 MOM’s Organic Market specializes in - wait for it - 100 percent certified organic produce and also features prepared lunches, free electric car chargers and a recycling program for lightbulbs, shoes, batteries, cellphones and more. According to The Inquirer, there also will be 55 free parking spots for customers.